A few minutes into the Knicks’ sorrowfest that was my Friday night, Celtics head coach Brad Stevens called a timeout to downsize his lineup, playing a 3 guard set with Jae Crowder at the 4. He did this despite the Knicks rolling with their starting lineup, which absolutely dwarfed Boston’s and had tapped out two offensive rebounds just the possession before. It was a bit of a gamble for the C’s but ended up paying off in a big way. Not only did the Knicks not take advantage of Boston on the boards, they immediately chose to go small as well, surrendering themselves to the Celtics’ preferred playing style and giving up an 11-0 run. It’s what Bill Simmons would refer to as “some coaches just playing checkers out there”. And, when it comes to talking about the Celtics, pretty much all of the conversation has to start with the Chess Grand Master Himself, President Bradley Stevens. I’ve been surprised for the last two seasons with just how good the Celtics have been. It’s true that Isaiah Thomas has been having a career year after being inserted into the starting line-up, igniting last season’s 20th ranked offense and tying the record for the shortest player ever to earn an All-Star selection. Crowder brings the tough-minded, low usage, 3 and D skillset that teams are going to wildly overpay for over the summer, while Avery Bradley brings pretty much the same thing at about four inches shorter. I MEAN, WHO ELSE DO THEY HAVE? Looking at their roster on NBA.com and every single name is some kind of underdeveloped one way player like a Kelly Olynk or Amir Johnson or some jack of all trades, master of none weirdo like Evan Turner. This is the team that drafted a defensive minded backcourt player in the first round one year after drafting a defensive minded backcourt player in the first rounds and that has so many young prospects it has to ship them off to ball for the Maine Red Claws because it has no playing time for them on the court. This team famously offered to trade four (!!!) first round selections to Charlotte last year to move up in the draft and target Justise Winslow and then could only get “very close” to making a trade for a superstar this year at the trade deadline. 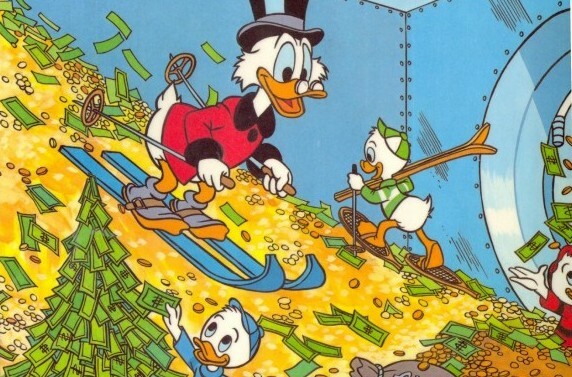 It’s just insane to think that a team could be sitting on a Scrooge McDuck pile of assets for so long and not find a single trading parter to consolidate their riches and take them from good to great. That’s been the conventional thinking that has led me, and a fair amount of the basketball watching public, to severely underrate the Boston Celtics. Maybe because the front office barely improved a roster that got swept out of the playoffs last year and really only put up a fight against Kevin Love’s shoulder. Maybe because the emergence of the red hot Toronto Raptors has turned the East into a two team race instead of just the tired Cleveland vs. Everybody conversation. Or maybe just because it’s impossible to imagine that this franchise rebounded so incredibly quickly from the blockbuster Pierce/Garnett deal that bankrupted Brooklyn’s entire future. And yet, the Celtics are right up there in the standings, sitting at third in the Eastern Conference. For how bunched up the bottom of the East is, the Celtics have a comfortable lead on last year’s 60 win Hawks team and the perennial defensive stalwarts of Indiana and Chicago. They’ve built the league’s 4th best defense around their perimeter stoppers and force enough turnovers to go small whenever they want to. More surprisingly, even their offense has creeped into the top 10, with Thomas pushing the ball up the floor at a top 3 pace. Hell, the Celtics were actually the best team in the East by point differential before the Cavs got Kyrie Irving back and at full strength. A lot of this has to do with Stevens who has quickly shown himself to be one of the few real difference makers at head coach, along with the Popoviches and Carlisles of the world (Stotts anyone??). Boston’s defensive success alone screams good coaching as he gets the effort out of his guys to swarm the ball and prop up the absolute turnstiles they have at point guard and center. He’s helped them to build a strong homecourt advantage in the TD Garden and they already have the all-important tie-breaker against Miami, which would keep them from playing Cleveland in the second round. The real question though, is how much these intangibles, like hustle and good coaching, will translate in the playoffs. True, Boston won’t be drawing Lebron James in the first round, but the East is much improved from last year and could see them against another dominant wing player like Paul George or Jimmy Butler. The Celtics have Jae Crowder to throw at those guys, but they’re also going to need to manufacture offense when teams throw the clamps at Isaiah. It’s going to be another interesting experiment in the ongoing depth vs. superstars argument, and most likely an uphill battle for these Celtics. Still, my money is on these guys to make it out of the first round if they can keep these games close. Brad Stevens has made his money in crunch time this year, taking every opportunity to switch defense for offense and diagramming plays that leave opponents shrugging their shoulders afterwards. 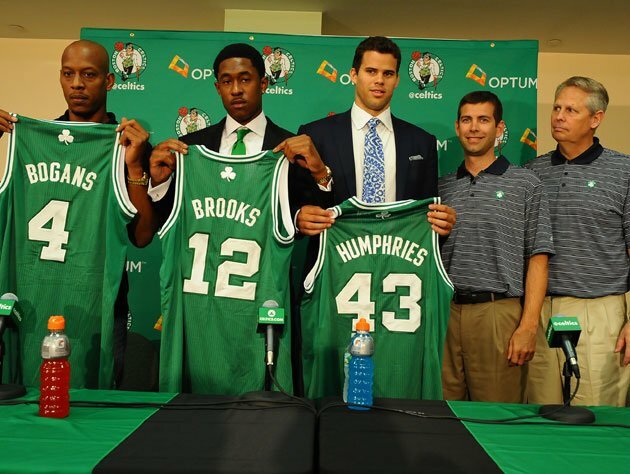 It’s in these moments that the weird, varied depth of the Celtics becomes a positive. Stevens has a funky piece to fit ever situation and he knows exactly when to use them.